Breaking news! 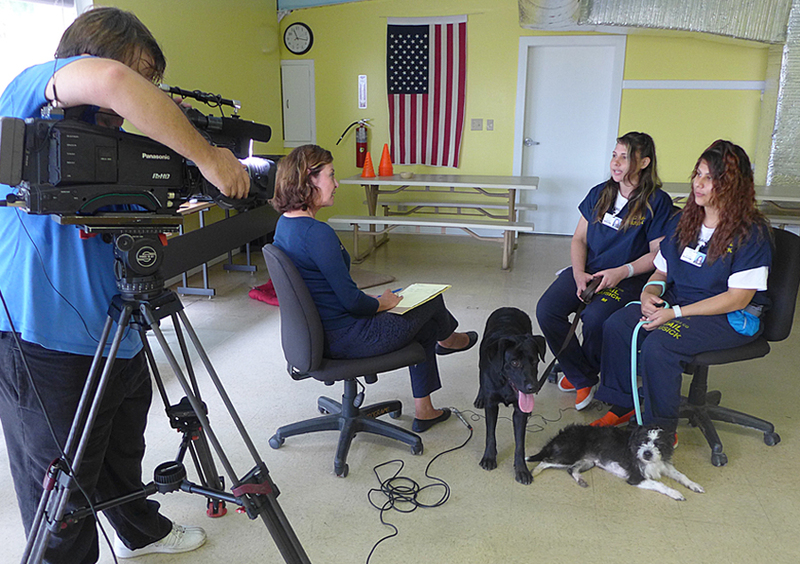 Cell Dogs was featured on NBC4 this past Sunday (10/22) as part of the Life Connected series following the 11 pm news. 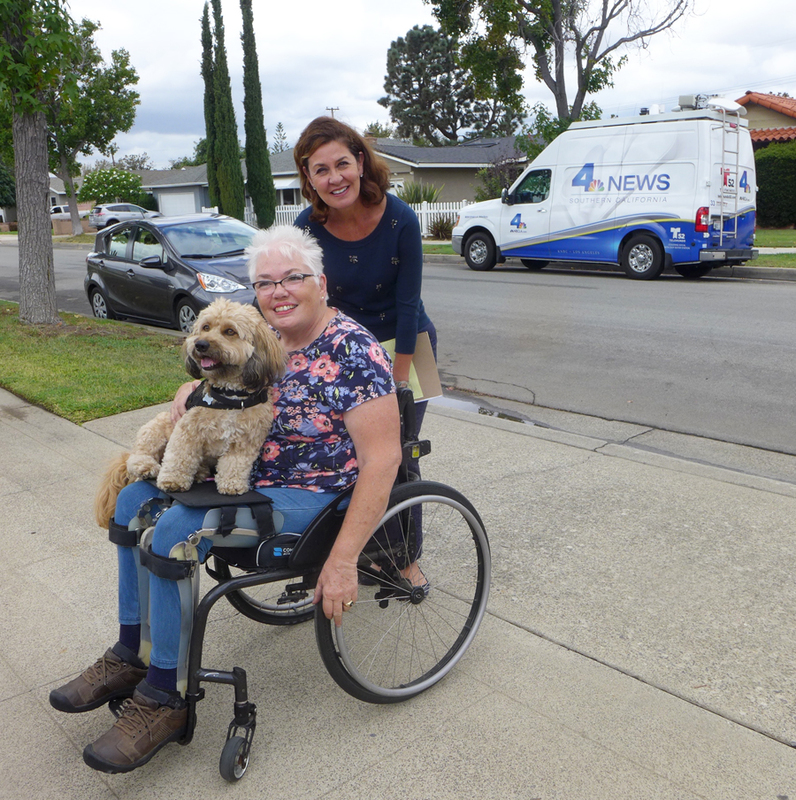 Vikki Vargas, Orange County Bureau Chief for NBC4 had met Janette during the Clear the Shelters event at OC Animal Care this September. She was unaware that our programs were in local correctional facilities and was curious to learn more. After securing the required clearance documents, Vikki and her crew visited one of ourtraining sessions at the James A. Musick facility in Irvine, CA. 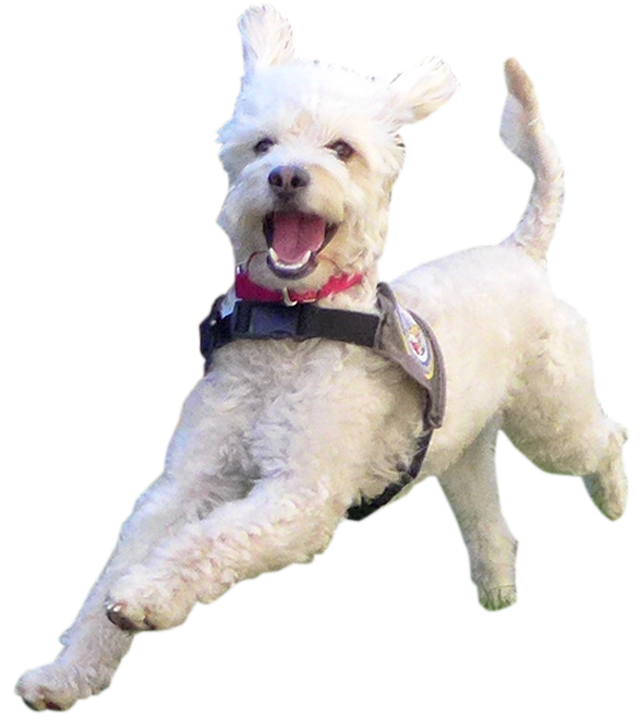 They also met with Janet Q. and Dusty to get her perspective on how her service dog has positively changed her life!